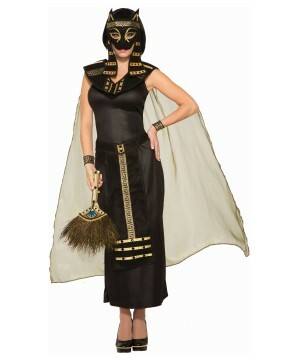 Historical themed costumes are a popular selection of Women's Costumes year after year! 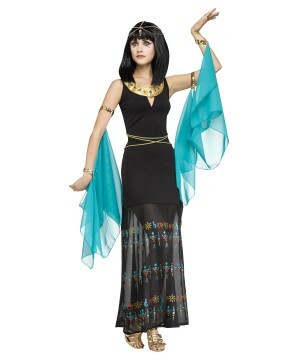 But Egyptian Costumes for women are without a doubt women's favorite choice! 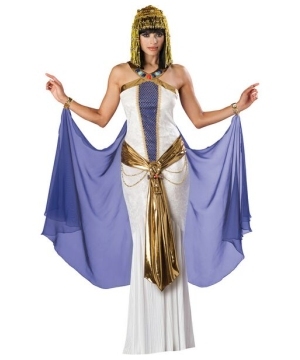 Become beautiful Cleopatra in any of our gorgeous Women Egyptian Costumes! 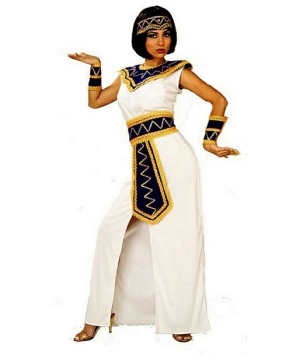 In ancient times, when the sand dunes and pyramids of ancient Egypt were still ruled by powerful pharaohs and their Nubian queens, and during the time of the great Ptolemaic dynasty, one ruler had surfaced, changing the course and fashion of history for all of the years that were to follow her rule and her death. 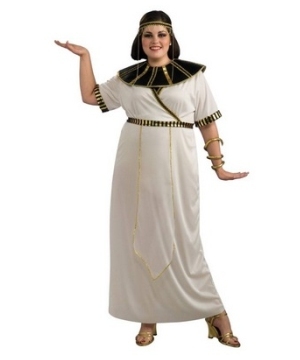 She was known to the world as Cleopatra, and she was also a well known Pharaoh of Egypt. 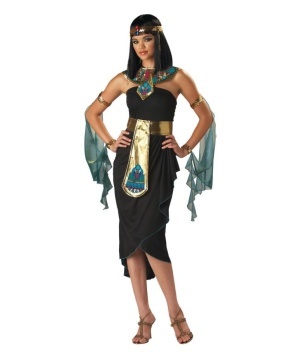 Why else do you think she automatically comes to mind when you think of an Egyptian costume? 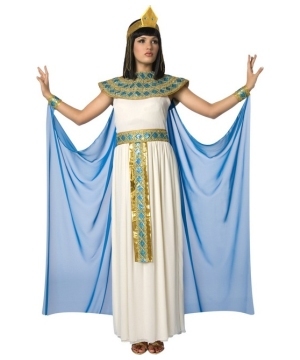 Cleopatra made sure to make herself unforgettable, and she certainly and indubitably did a great job of it. 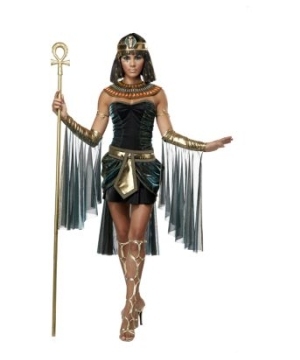 This female pharaoh ruled after the tragic death of her lover, Alexander the Great. 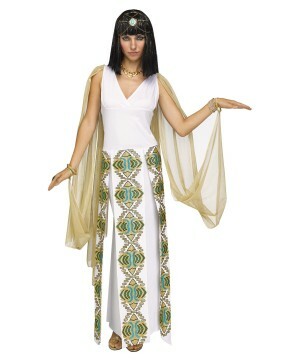 When dressing in this Egyptian ensemble, remember the character and style of Cleopatra, she was very regal, always dripping in gold accessories and extravagant white robes along with her signature short, black hair and headband. 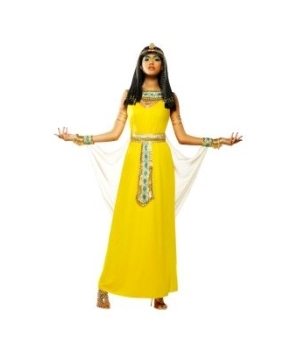 If you really want to look and feel like an authentic Ancient Queen, just simply look into the fashion of Lady Cleopatra, she never looked less than stunning and you are sure to look the same by shopping any one of our Egyptian styles for women. Remember to complete your regal ensemble with a gorgeous pair of gold sandals to tie into the royal theme. 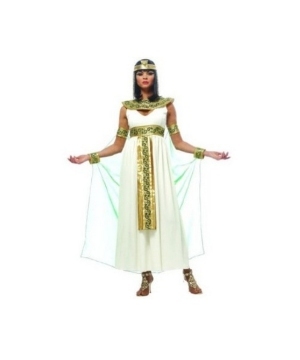 We are happy to help you achieve the status of queen at whichever Halloween party you choose to attend this year be ready to dress to impress with a beautiful Women’s Egyptian Costume!